Entertainment had always been a part of Zenie’s life since she was a little girl. She enjoyed singing and dancing, and got her break at sixteen when she was invited to dance with other girls her age on a one hour weeknight show of ABS-CBN’s Channel 9 titled “9 Teeners”. 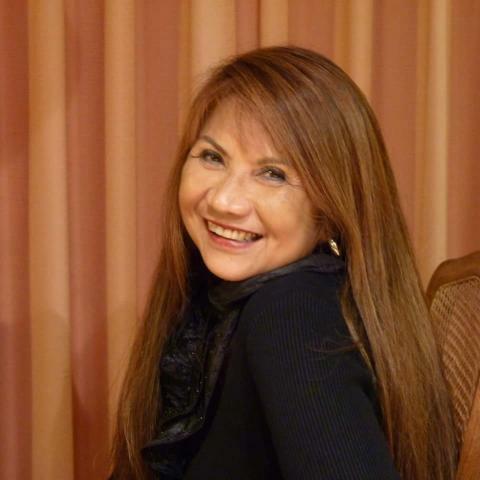 At that time, the ABS-CBN studio was still in Dewey Boulevard (now Roxas Boulevard) and through her one year stint with the show Zenie came into contact with a lot of movie and TV personalities. Zenie’s first production in 1991 featured Dulce (“Asia’s Diva”) along with comedian Mr Yoyoy Villame. As the producer, she had to navigate through the tough immigration process to secure their visas to bring them to New Zealand. It was also the first time for Immigration New Zealand in Manila to encounter such a request. She had to go Manila and meet up with the Ambassador and visa officers to explain that her intention of bringing Filipino celebrities to New Zealand to do shows and concerts was for the benefit of the Filipino community who longed for a bit of home away from home. The visas of Dulce and Mr Yoyoy Villame were approved, and a precedence was set for future shows. On 26 July 1991, the Dulce and Yoyoy show was held at the Logan Campbell Centre at ASB Showgrounds in Greenlane and played to an almost full venue of excited Filipinos. Over the years, Zenie has produced shows and concerts featuring almost all the famous performers from the Philippines like Rico J Puno, Hajji Alejandro, Pilita Corrales, Christopher De Leon, Dina Bonevie, Lotlot & Moching, Side A Band, Free Style Band, and A-listers like Piolo Pascual, Gary Valenciano, Lea Salonga and Ogie Alcasid. The sold out Lea Salonga Concert on July 24, 2015 was a special project when she made the Holy Cross Parish Church in Papatoetoe the beneficiary. Her last production, on 18 August 2017, showcased the world class performance of the Cercado sisters, aka the girl group 4TH Impact who made the top five of the X Factor UK Season 12. The project that Zenie is currently working is to bring Regine Velasquez to New Zealand. When Zenie finally decides to retire from this business, she would really want to see someone take over who is consistent, passionate and dedicated to bringing benefit to the Filipino community in New Zealand.